Þrótti and Ingulfr had the stone erected in memory of Sigviðr, their father; and Ingifastr in memory of her husbandman. And Ófeigr / the not doomed Œpir carved. 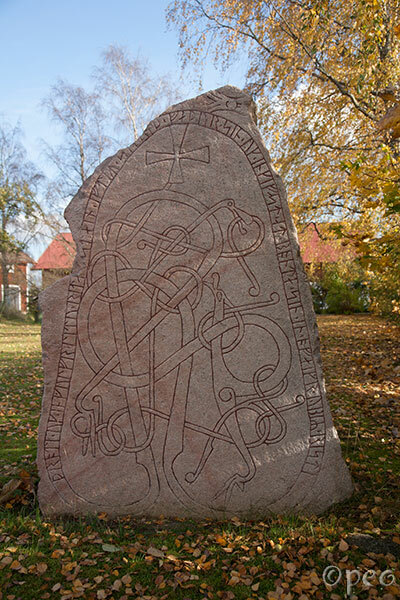 Œpir carved this beautiful rune stone, and he made this one - the beasts look just the same.